Proud, loyal and reliable in battle: Clan Fraser originated in the Scottish Lowlands, but soon grew to become one of the most formidable forces in the Scottish Highlands. With a long military history, Clan Fraser continues to capture imaginations and appear in popular culture today. There are two theories on where the name Fraser comes from. The first theory is that the Frasers came from France and the name is derived from the French names Fresel, Freseau or Fredarious. The second theory is that the name Fraser comes from a Roman Gaul tribe whose badge was a strawberry plant – fraisier in French. Either way, the history books show the first Fraser in Scotland lived in Keith in East Lothian around 1160. During the Wars of Scottish Independence, the Fraser fought alongside Robert the Bruce, and Alexander Fraser of Cowie even married Bruce’s sister. 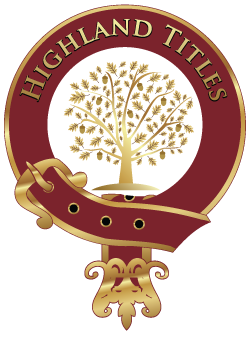 It was during the 14th century when Clan Fraser split into two separate clans – the Lowland Frasers of Philorth, and the Frasers of Lovat – which are today recognised as two separate clans with common ancestry. Clan Fraser of Philforth are led by the Lords Saltoun, and they had their seat in Cairnbulg Castle, close to the nearby town and burgh that is today known as Fraserburgh. 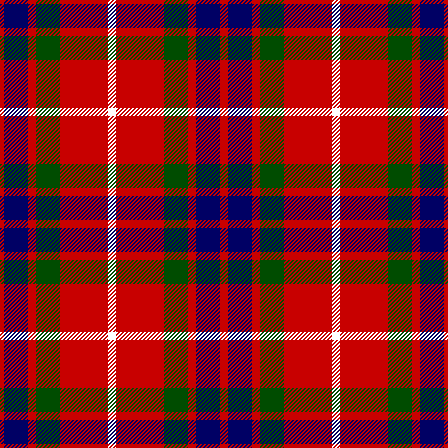 There are four main incarnations of the Fraser tartan, including the mostly red Fraser Dress tartan, the dark hues of the Lovat tartan, the colourful Green Fraser Gathering tartan, and the Fraser tartan from the Vestiarium Scoticum. The most common one, and the one listed in the Vestiarium Scoticum, is the mostly red Fraser tartan, with thick navy and green stripes and thinner white stripes. The clan’s crest was a symbol of allegiance, used by clan members to show allegiance to their clan chief. The Clan Fraser of Philforth crest features a strawberry plant, with ripe strawberries hanging from its stalks. It also bears the clan motto “All My Hope is in God”. The Fraser clans are known for their fighting spirit, and unsurprisingly the Frasers fought in many wars and even continue to serve today. Throughout history, Clan Fraser clashed with the Macdonalds and the Mackenzies. However, they found allies in Clan Munro and often fought side by side. One of the most notorious battles involving Clan Fraser occurred in 1544 in the Great Glen at the northern end of Loch Lochy. In a dispute over chiefship of the Macdonald clan, Hugh Fraser 3rd Lord Lovat brought four hundred of his best men and had planned to team up with Clan Gordon. But the head of Clan Gordon decided to return his men to their own territory when no battle materialised, however, the MacDonalds had been stalking Clan Fraser waiting for the opportunity to attack. Without Clan Gordon’s support, Clan Fraser was outnumbered and, despite their determination, hundreds of men were slaughtered. It is reported only five Frasers and eight MacDonalds survived the bloody fight. The battle is often referred to as the Battle of the Shirts, since it is believed to have been such a warm day that the warriors had to remove their heavy plaids in the heat and fight only in their shirts. At the Siege of Inverness in 1562, Clan Fraser fought valiantly for Mary, Queen of Scots, alongside Clan Munro. Together they took Inverness Castle for the queen. During the Jacobite Rebellion, the Stewart monarchy reached out to the Highland Clan Fraser of Lovat for their assistance in regaining the throne. While the Lowland Fraser’s clan chief Thomas Fraser was hesitant to get involved in the Jacobite Rebellion, his men marched into the Battle of Killiecrankie in 1689 regardless. One of the more infamous Frasers was the 11th Lord Lovat, a man called Simon Fraser. The Jacobite, known as The Fox, was notorious for his feuding and switching his allegiances. He caused widespread outrage, when he kidnapped the sister-in-law of his enemy John Murray, Earl of Tullibardine, and forced her to marry him, then raped her. Facing prosecution, The Fox fled to France where he lived as a Jacobite spy, until he was eventually caught. Simon Fraser’s execution was as violent as his life. A timber erection collapsed under the weight of the crowd that had gathered to witness the beheading, instantly killing nine people. This caused great amusement to Fraser, who could barely contain his laughter… giving life to the idiom to ‘laugh your head off’. Clan Fraser’s organised regiment, the Independent Highland Company fought at the Battle of Culloden in 1745, and to this day a grave marker stands at the site where many of Clan Fraser’s men gave their lives. Clan Fraser has a long military history – a history which came full circle when the 17th Lord Lovat landed on a Normandy beach in June 1944 at the head of a Commando Brigade. Upon the realisation he had landed back where the Frasers had come from, Lord Lovat ordered his personal piper to pipe the unit ashore. This could have spelt disaster for the Commandos, however, the nearby German soldiers reportedly did not fire on the group because they thought their leader, Lord Lovat, was mad. Clan Fraser of Lovat’s main territory was around the Black Isle and the Beauly Firth in Inverness-shire. From the 13th century on, Dounie Castle was the seat of Clan Fraser. However, during the Jacobite Rebellion, the castle was seized and destroyed. In its place, Beaufort Castle was built, which would eventually be put up for sale in 1995 by Lord Lovat to cover mounting family debts. Loch Ness’ only island, Cherry Island, was once the site of a Fraser castle and according to legend was home to a spirit called a brownie which came out at night to help with household and farming chores. Other Fraser castles in Beauly include Moniack Castle, which today produces wines, liqueurs and preserves, and Erchless Castle, which can be rented as holiday accommodation. The Frasers of Reelig also continue to live in Beauly, in Reelig House. Clan Fraser of Philforth laid claim to lands around East Lothian and Aberdeenshire. Castle Fraser in Aberdeenshire was home to the Fraser family for 400 years and it now owned by the National Trust for Scotland and open to the public. With hidden doors, secret staircases and spy holes, it’s a fascinating piece of Clan Fraser history to explore. Castle Fraser in Aberdeenshire. Photo by Karora / Public Domain. Today large populations of Clan Fraser live in Canada and the United States, with other Frasers found in Australia, New Zealand and South America, as well as a strong contingent remaining in Scotland. The popular TV show Outlander has brought Clan Fraser into the hearts and minds of fans all over the world, thanks to one of the main characters, Jamie Fraser, played by Scottish actor Sam Heughan. Several Frasers are depicted in the show, including Brian Fraser, a character inspired by the notorious Simon Fraser, The Fox. As of October 2018, there are over 615 plots in the Highland Titles Land Register under the Fraser name.